Keith graduated from Imperial College, London U.K. in 1972 with an Honours degree in Electrical Engineering, majoring in analogue circuit design and electromagnetic field theory. 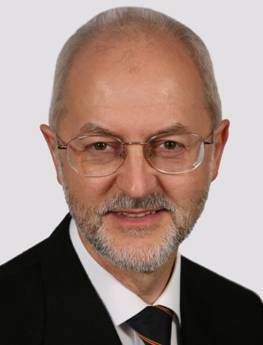 He has been a member of the IEE (now the IET) since 1977, a UK Chartered Engineer since 1978, and a European Engineer (Group 1) since 1988. Between 1972 and 1990 Keith worked for a number of leading companies in three countries, mostly in the power conversion, professional audio and instrumentation fields. In 1985 he was a project manager and principal hardware engineer for Marconi Instruments Ltd (Microwave Division), responsible for a project with 30 staff and spending a budget of one million GB Pounds per year. During the 1980s Keith developed design techniques for circuits and printed circuit boards (PCBs) that allowed digital processing of any power, analogue to digital converters, switch-mode power conversion, and analogue circuits with ultimate signal/noise ratios (e.g. 120dB) to be placed on the same PCB – without the digital or switch-mode circuits causing any degradation in the white spectrum of the analogue noise floor – at the first iteration of the PCB layout. At a time when most designers and textbooks were recommending splitting the 0V connections between analogue and digital circuits, and 0V planes were a rarity, Keith discovered that as long as certain other design techniques were applied at the same time – the best results for functional performance were achieved with a single 0V plane shared by all of the circuits on a PCB. It was also found that these design techniques markedly improved analogue signal/noise ratio (in some complex systems improving it by 10dB more than the best that other analogue experts had achieved over 30 years), reduced crosstalk, improved digital signal integrity and resulted in much more reliable software, all of which helped improve time-to-market and customer satisfaction. When tested for EMC, equipment designed using these techniques generally passed without any design changes. The reason for all these benefits is that these design techniques actually control the shapes of the field patterns of the propagating electromagnetic waves that we call electronic signals and electrical power. Despite this complexity, these design techniques are easy for all practising electronic engineers and PCB designers to understand and apply, without any understanding of electromagnetic field theory, or indeed having to know how they work. Cherry Clough Consultants was started by Keith in 1990 to help companies comply with the emissions and immunity requirements of the European EMC Directive, as well as the emissions requirements of the FCC regulations (USA) and VCCI (Japan) – whilst simultaneously reducing design and development timescales, unit manufacturing costs, and warranty costs. Keith has been a Chartered Electrical Engineer (UK) since 1978, a Group 1 European Engineer since 1988, and a Fellow of the IET (previously the IEE) and Senior Member of the IEEE since 2010. He has written a great many articles and guides, and presented many papers, on EMC design and testing techniques, and on EMC for Functional Safety. He is a past Chair of the IEE’s Professional Group on Electromagnetic Compatibility and a past President of the EMC Industries Association (www.emcia.org), a member of the IEEE’s EMC and Product Safety Societies, has chaired the IET’s Working Group on 'EMC and Functional Safety' since 1997, and is the UK expert appointed to the IEC standards teams working on 61000-1-2 (‘EMC and Functional Safety’), 60601-1-2 ('EMC of Medical Devices') and 61000-6-7 ('Generic standard on EMC for Functional Safety').